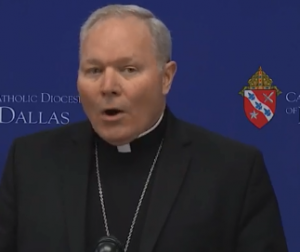 DALLAS (WBAP/KLIF) – Bishop Edward J. Burns said Wednesday that the Diocese of Dallas will release the names of all clergy credibly accused of sexual abuse of minors in his diocese dating back to 1950 through today. In doing so, he joins the bishops of the 14 other Catholic dioceses in Texas and the Ordinariate of the Chair of St. Peter in taking the action. Burns said that Texas bishops made the decision on September 30, to release the lists of names in the context of their ongoing work to protect children from sexual abuse, and their efforts to promote healing and a restoration of trust in the Catholic Church. Burns said that all dioceses will publish their lists by January 31, 2019. The release of names of clergy credibly accused of sexually abusing a minor is part of an ongoing effort by the dioceses to provide an even safer environment for children. 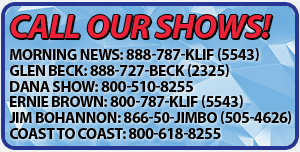 These lists will be updated as new information becomes available. Anyone who has been sexually abused by clergy is encouraged to contact local law enforcement or call the Texas Abuse Hotline at 1-800-252-5400 or visit www.tabusehotline.org and the Diocese of Dallas Victim Assistance Coordinator, Barbara Landregan, at 214-379-2812.